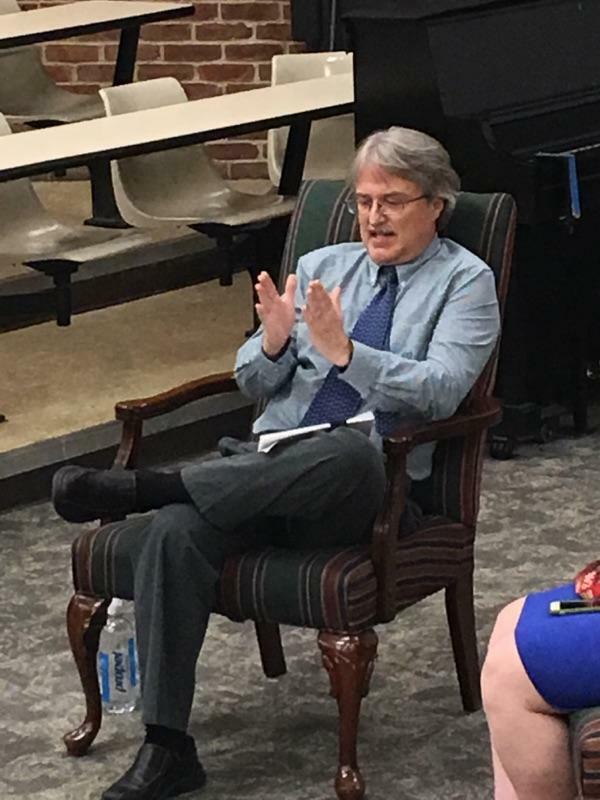 Dr. Daniel Biles, professor in the Mathematics and Computer Science Department, recently participated in a faculty-author discussion to talk about some of his most recent academic articles, which have been published in The Journal of the Kentucky Academy of Science and Differential Equations and Applications. Biles also discussed his latest work on the linear case that he will submit for publication this summer. Biles has had more than 30 research articles published in differential equations, stochastic calculus and other related areas. Before joining Belmont’s faculty in 2008, he assisted in the construction of computer simulations of current and future defense systems at Nichols Research Corporation and worked as a faculty member at Western Kentucky University.